Until these new methods of eradicating and preventing internal parasite infection have been proven by the test of time, you will have to stick to old-fashioned sanitation. 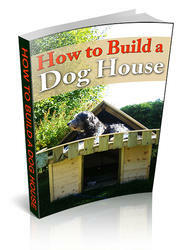 Thoroughly clean the doghouse and kennel at least twice a month. Choose a good detergent and disinfectant. Compounds containing both a detergent and disinfectant are available. Pick one that is nontoxic and with a high degree of efficiency against the major organisms. The compound should be soluble in water. Follow the directions on the label —don't guess at the amounts to be used. Also, allow enough time for the compound to work; germs are not killed in a minute. I£ possible, hose down the doghouse and kennel before using the detergent and disinfectant compound. This will wash away any feces or solid matter. Next, scrub all walls, floors and wooden bases with the compound. Work it into the cracks and corners. Take out any movable fixtures and wash them. Let the solution remain for about a half hour. Afterwards, you can rinse off any excess compound. Follow up the housecleaning by spraying with an insecticide containing lindane, chlordane, pyrethrum or rotenone. Dirt kennels can be sprinkled with lime which is then worked into the soil. Concrete or asphalt runs can be flushed, treated with the detergent and disinfectant compound, then rinsed. To sum up the situation on internal parasites and their control: in most cases the diagnosis and treatment should be left to the veterinarian; prevention is largely your responsibility. 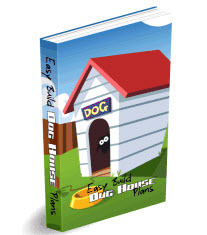 Practice rigid sanitation in the doghouse and kennel. A periodic examination of the dog's bowel movement for internal parasites is good management and good sense. It will prevent serious complications and it will enable you to keep the dog in top condition. If you have a hunting dog and work him in mosquito-infested country, have a blood test for heartworm filariae done every three or four months. Finally, if you decide to do your own worming for ascarids and tapeworms, adhere to the instructions on the label. A puppy can be seriously harmed, possibly killed, by an overdose of worm medicine. Remember, worm medicines are poisons, that's why the worms are killed. If in doubt, better let the veterinarian do the job.